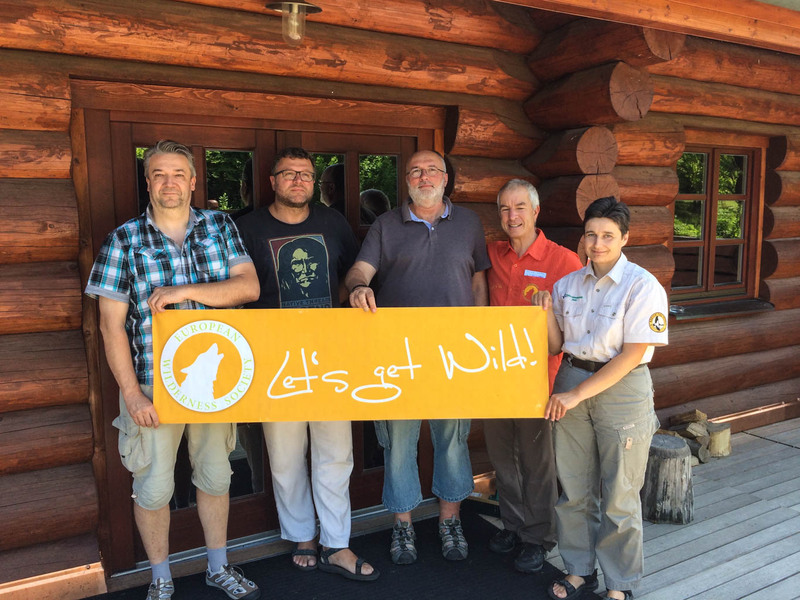 European Wilderness Society carried out last week the Wilderness Quick-Audit in the Podyjí Wilderness, Czech Republic. The size of Podyjí National Park is 6 276 ha but because a clear long-term objective identified already almost 25 years ago all management activities are focusing to achieve that 75% of the bilateral area Podyjí National Park, Czech and Thayatal National Parks, Austria will be left to the spontaneous development, said Ing. Tomáš Rothröckl, Director of Podyji National Park. The current zone I (core zone) of the Podyjí National Park, is only accessible to the public on marked trails and roads. In the small part of the core zone, there are still planed temporary management interventions aim to achieve the near-natural state of forest stands. In selected locations intervention measures aim to support protection of specially protected plant and animal species. A certain handicap is the relatively small size of ​​the area in connection with its shape (the total width of the forested area is in some places is less than 2 km). Some aspects of the civilization pressure from the surrounding area so partially reach the core zone. The Podyjí National Park has a good potential for Wilderness. A significant part of the area (85%) is covered by forests, of which 51% is currently left to spontaneous development… added Petr Vančura, Deputy Director of Podyji National Park. Podyji National Parks represents the large complex of natural or nature-close mixed deciduous forest in lower continental regions and Pannonia left to the spontaneous development. Wilderness can create a significant part of this forest. The Podyjí region was systematically protected since 1978, when the Podyjí Protected Landscape Area was declared. The most valuable part of the Podyjí Protected Landscape Area was in 1991 declared as the Podyjí National Park. This smallest national park of the Czech Republic lies on the border with Austria. The national park is surrounded by a buffer zone and since 2000 the national border continues with the Thayatal National Park at the Austrian side. To create transboundary piece of Wilderness in this part of Europe is our plan… concluded Lenka Reiterová, Deputy Director and Botanist of Podyji National Park.